Following on from the release of the highly coveted ‘Zebra’ colourway – which hit the shelves last week – KANYE WEST and adidas Originals reveal another instalment to the series, bringing back the much-loved ‘Sesame’ colourway on the Yeezy BOOST 350 v2. 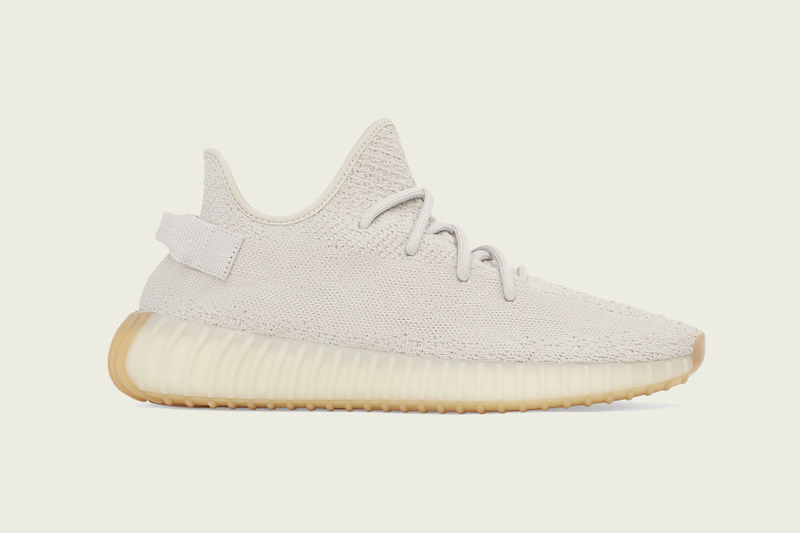 Up top, the Yeezy 350 V2’s soft, neutral Sesame hue dresses the Primeknit fabric. This groundbreaking material wraps to the contours of your foot to deliver a supremely comfortable sock-like fit. The addition of a pull tab means putting your trainers on and off is a doddle, and branding features to the tongue for that Yeezy seal of approval. Below, the premium pair utilises adidas’ Boost technology. If you’re not familiar with this technology, a Boost midsole is made from TPU (thermoplastic polyurethane) which compresses under impact, and instantly springs back to its original shape – making for a cushioned ride each and every time. Finally, a gum rubber outsole underfoot blends seamlessly with the pair’s Primeknit uppers and provides essential traction to the streets. The adidas Originals Yeezy BOOST 350 V2 ‘Sesame’ will be available on the size? previews app and in selected size? stores on Friday 23rd November, priced at £180 in UK sizes 3.5-13. See more of our upcoming launches here.